Welcome to our dental practice. We provide services including checkups, cleanings, fillings, crowns and bridges, extractions, Invisalign, Implants, dentures as well as many other advanced services. We provide our patients with a modern, gentle dental experience with the patient's comfort in mind. We are welcoming new patients. We love the people and culture here on the OBX and northeastern North Carolina. Dr. Markus Heyder and Dr. Gunther Heyder have grown up here and returned to serve the friends and families that are a part of their heritage. 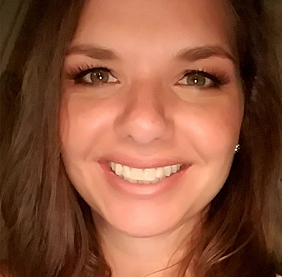 Dr. Ashley Parham joined the practice in 2016 and is enjoying learning about all that the OBX has to offer. Atlantic Dentistry is providing our community with great smiles and superior oral health, using high quality state-of-the-art dental services in the most modern facility available on the Outer Banks in northeastern North Carolina. We pride ourselves in providing excellence in dental services, committing to principled leadership within our community, and always seeking to advance dentistry in the interest and well being of our patients, in the pursuit of achieving their ultimate satisfaction. We fix smiles, not teeth! In our opinion, none of our patients should have to wear dentures or partials. Implants and bridges are far superior tooth replacement modalities and are a large part of our practice. Almost anybody who has lost a tooth is a candidate for these treatments. As baby-boomers mature, the number of large amalgam (silver) fillings that need to be replaced is staggering. High-end esthetic treatments such as ceramic onlays and porcelain crowns are becoming the standard of care for replacing the hundreds of millions of fillings that have been placed over the last 50 years. Non-invasive periodontal (gum) therapies makes prevention and treatment of periodontal disease a much more pleasant experience for the patient. We have been highly trained and are very experienced in not only these procedures, but many other therapies. We are excited to be part of the field of dentistry and all of the potential that it holds for our friends on the Outer Banks and in northeastern North Carolina. 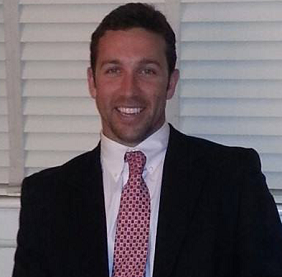 Dr. Markus P. Heyder is a native of Currituck County, NC. He received his Bachelor of Science from Wake Forest University and his DDS Degree from the University of North Carolina School of Dentistry in Chapel Hill. 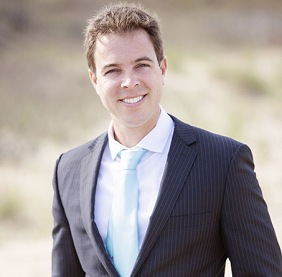 Dr. Gunther Heyder is a practicing dentist in the Outer Banks, North Carolina area. He is a native of Currituck County, NC where he was born and raised. Dr. Heyder is a proud graduate of North Carolina State University, where he earned a Bachelor's degree in Biological Sciences, and the University of North Carolina at Chapel Hill School of Dentistry. I am a practicing dentist located on the Outer Banks. I was born and raised in Franklin which is located in western North Carolina. My interest in dentistry began when I was a teenager. I wanted to write a thank you letter to your staff. I lost a tooth and was dreading the implant process, but Dr. Heyder was able to replace my tooth in 8 weeks and I never felt a thing. I love my new tooth. Thank you for making it an easy process. Having been a resident of this area my whole life and now being over 60, I have had in the past, to leave the Outer Banks for some dental procedures, but not any more. Dr. Heyder and his staff at Atlantic Dentistry have the state of the art dental facility and staff to handle all your needs right here in Kitty Hawk. My regular dentist of 40 years here retired about three years ago and referred me to Atlantic Dentistry and what a blessing that was. Atlantic Dentistry has done routine cleanings for me, bridge work, fillings, extractions, and two dental implants including the crowns. Their procedures have been painless, professional, and prompt. Their friendly and knowledgeable staff have assisted me with any questions and followed up with me on my care. I feel it a privilege to recommend Atlantic Dentistry to everyone, I truly believe you will not find a better, more caring, dental service in this area.